With a rare genetic condition that bestowed him with a reptilian appearance, Killer Croc is a frightening villain to behold. 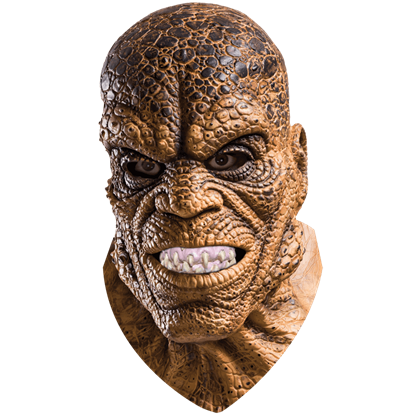 Get the scaly skinned look of this Suicide Squad member when you wear the Deluxe Killer Croc Latex Mask. Suicide Squad is composed of criminals with strong personalities. Even when gathered for a group shot, their individual behaviors shine through. 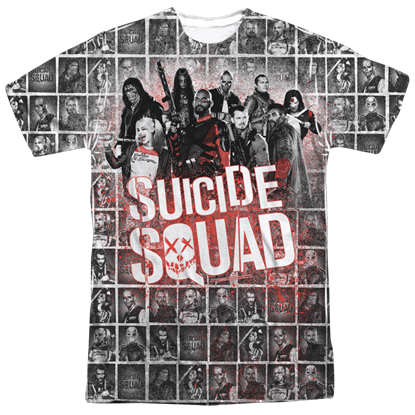 This Suicide Squad Mugshot Splatter T-Shirt makes a great addition to your wardrobe.